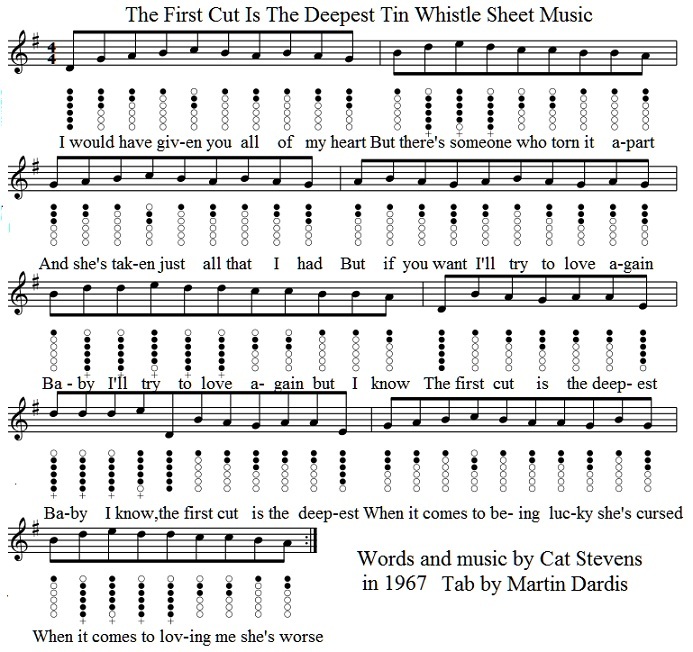 The First Cut Is The Deepest Tin Whistle Sheet Music And Banjo / Mandolin Tab. Words and music by Cat Stevens. Also recorded by Rod Stewart and Sheryl Crow among others. Just to let you know there are no sharp or flat notes in this one.